Since ancient times music has always been part of human lives. It has always brought people joy all over the globe. Music helps make friends and groups of interests among strangers, it also cheers people up. Imagine that there is no music in our lives and we all know that the world will be so boring without it. Probably that is a reason why one man named Stepan Ignatovich decided to create something special using 3d printing technologies. Stepan is a scientist from Siberia. When he has some spare time, he creates 3D models of various things – that’s his hobby. He also takes interest in music, microcontrollers and 3D printing. About a year ago he made up his mind to build his RepRap Prusa i3 3D printer. Before that he had built some 3D printers, and that’s how he became a 3D printing enthusiast. 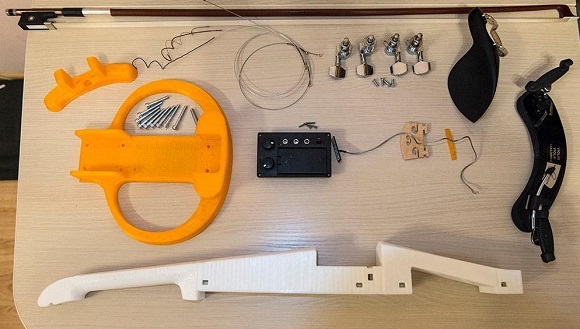 Recently he decided to join his interests in music and the skills in 3D sketching and printing together and developed a 3D printed electric violin, which he called ElViolin. At first it may seem that it would be hard to create such a thing, but Ignatovich assures that in fact it was not so difficult. As he told in one of the interviews, it all was really easy. A couple of months before he bought a conventional violin and started studying violin music. Then he came across with a similar project on Thingiverse called F-F-Fiddle project. He tried to 3D print the F-F-Fiddle, but then he understood that the filament he had wasn’t proper for this. In addition, the playing position of his fiddle was different from that of the conventional violin, that’s why Stepan couldn’t play it well. 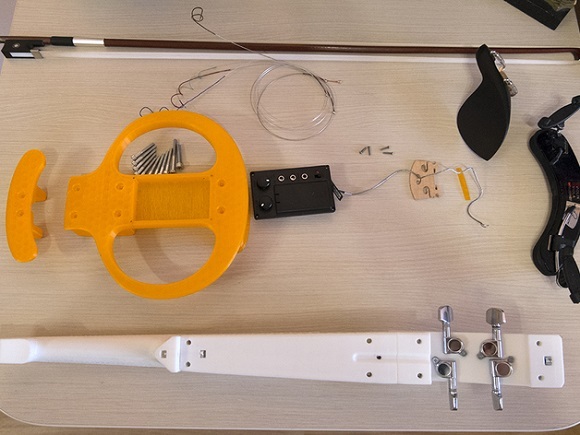 Therefore, he decided to develop and 3D print an electric violin by himself. 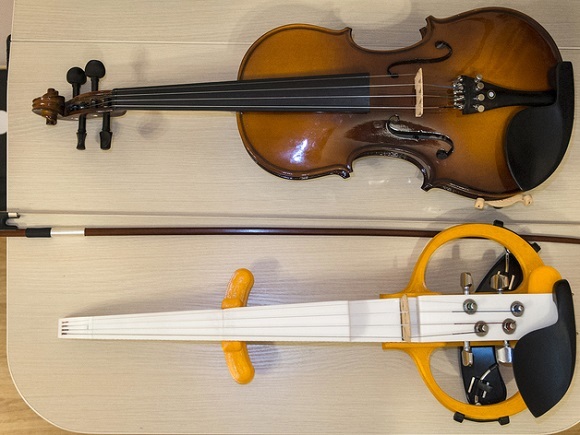 The F-F-Fiddle inspired him and guided in designing and 3D printing the instrument. The results were astonishing. 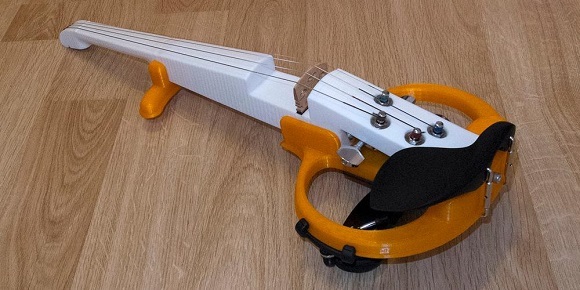 To 3D print the violin he used the Prusa i3 homemade 3D printer. The printing area of the machine is 200×200 mm, which is the common size of the printing bed of RepRap 3D printers. The instrument was divided into sections and 3D printed with PLA plastic. The rest of the parts like strings, bridge and electronics were bought on eBay. It took Stepan almost a month to complete a project – from the moment when he got the idea to the minute when he was holding the violin in his hands. 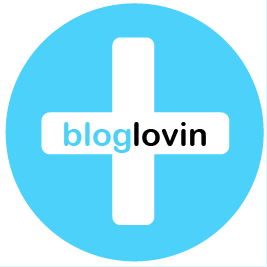 Now he is making free 3D printable files for everyone to download them from Thingiverse.